Still looking for the perfect holiday gifts for loved ones this year? 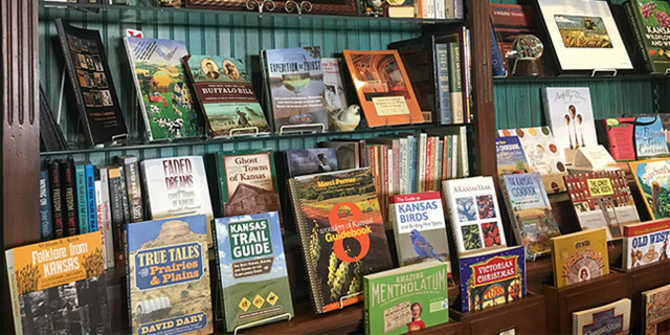 Some of the best gift shops in Wichita are tucked into the city’s museums and attractions, and they don’t require admission if you’re just stopping in to shop! Not only will you find unique gift items and beautiful pieces made by local and national artists, you can support the mission of each attraction by spending your dollars there. Unless otherwise indicated, these Wichita museum gift shops are open the same hours as the attraction. The gift shop here is one of downtown Wichita’s longest operating retail stores. It was established almost 40 years ago by the museum’s Friends group (called the WHiMS for Wichita Historical Museum Society) and is completely volunteer-driven. The thousands of volunteer hours to man and stock the store is apparent in the store’s unique and fun collection of souvenirs, art, books, jewelry, old-fashioned games and Wichita merchandise. Reproduction vintage post cards and greeting cards are also a specialty, and the store is beautifully staged with holiday offerings. The Museum Store @ WAM is like its own art gallery, with a dramatic wall display of hand-blown glass items, one-of-a-kind jewelry, locally crafted pottery and other artisan-crafted gifts for children to adults. The gift shop even carries jigsaw puzzles featuring four masterworks from the Wichita Art Museum collection. The store is packed with wonderful gift ideas, from notecards to bridge card sets to whimsical and educational children’s presents. They are a retailer for MOVA Globes, which feature many different designs – including world maps, outer space and famous artworks – and rotate when exposed to ambient light, making batteries and cords obsolete. 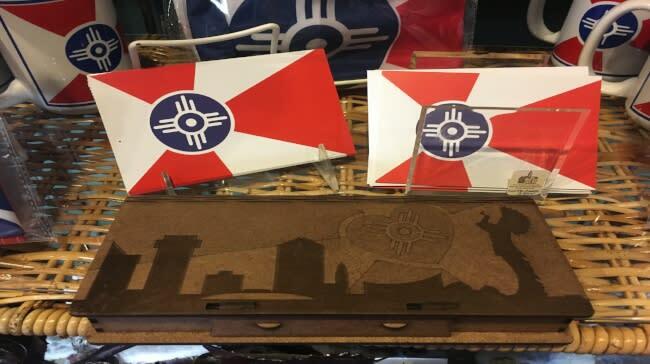 The store also carries Wichita branded gifts such as Wichita flag jewelry, cufflinks, mugs and magnets and the new Heartlandia Wichita Pride Stickers done by local design firm, Gardner Design. 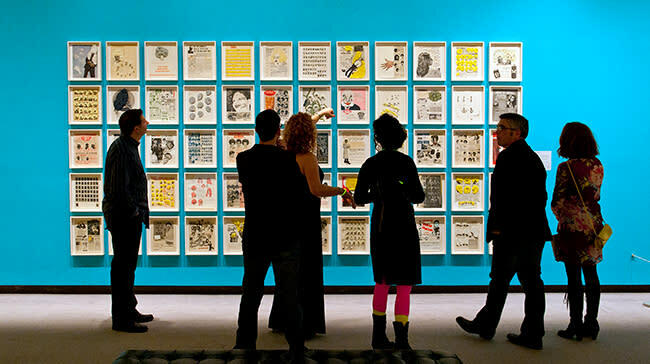 Note that Museum Store @ WAM is open 11 a.m. to 4 p.m. Tuesday through Sunday. Along with branded souvenirs, the Heritage Gift Shop at The Kansas African American Museum sells books, locally made jewelry, art connected to current exhibits and authentic African goods. These well-liked items come from Ghana twice a year and range from woven bags, hand fans and shoes to woodcarvings. 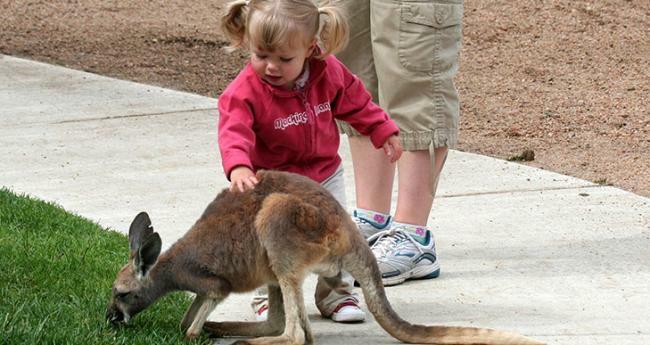 There might be more animals inside the gift shop (plush and toy versions, of course) at this wildlife park that boasts 400 live animals on display! Looking for an 8-foot-tall stuffed giraffe? 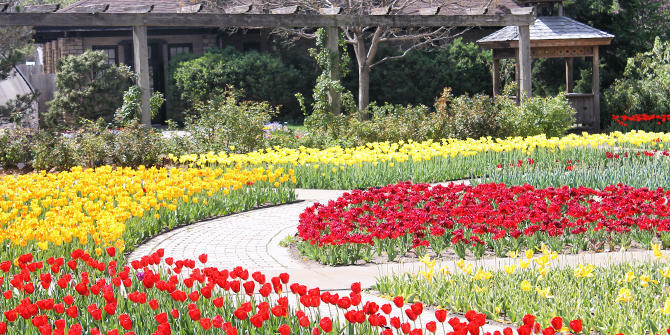 They’ve got it, along with a wide assortment of bags, hats and T-shirts, many featuring the rare and endangered animals at the family-owned park. 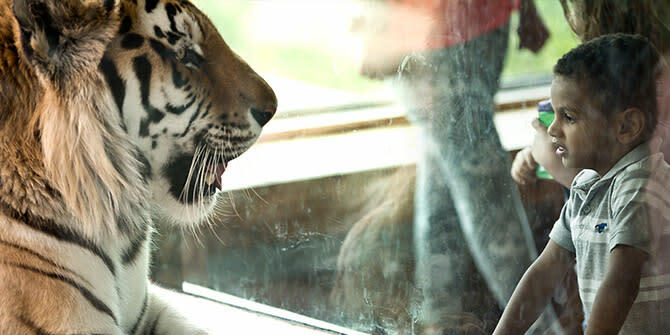 Note that Tanganyika is closed during the winter; its operating dates are typically mid-March through mid-November. Featured local artists at the zoo’s gift shop include resident goats, chimps and rhinos, to name a few. 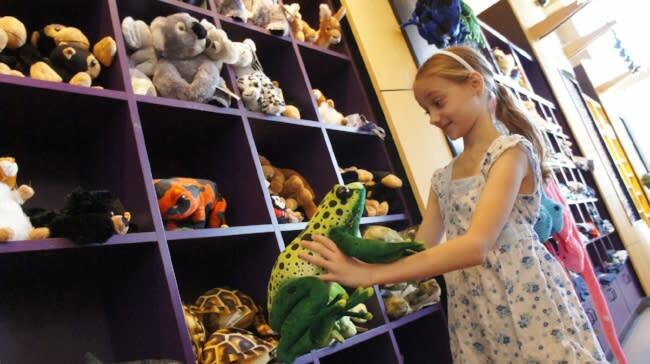 In addition to art, they have a large selection of animal toys and wildlife plush items, purses and totes, jewelry and zoo branded shirts, sweatshirts, coffee cups and shot glasses. The S.G. Bastian and Sons Mercantile at our 1880s-era living history museum is filled with an array of western, Victorian and Wichita gift ideas. 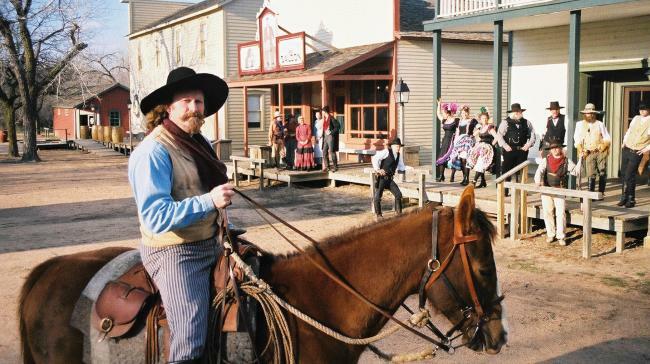 Find cowboy hats, sheriff’s badges, toy guns and stuffed animals as well as old-timey reproduction toys such as the wooden Jacob’s Ladder or cup-and-ball. Two of their best-sellers are local, handmade bonnet and apron sets for children and private label Cowtown sarsaparilla made by Kansas’ Louisburg Cider Mill. Other local artisans also are on display, including Cats Paw Pottery, which makes Victorian vintage pottery, and Redrock Photography’s framed prints. Old Cowtown Museum logoed merchandise is available alongside Wichita-themed gifts. And don’t miss the selection of locally made food gifts, including salsas and jams. 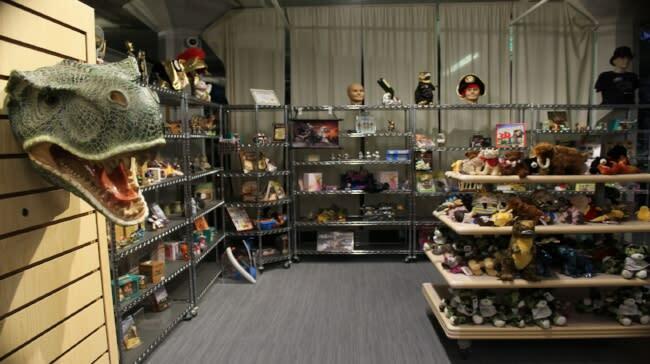 Similar to the museum’s three-story collection of treasures, the Museum of World Treasures’ store is a mix of eclectic gift items. The store recently got a facelift along with some new items. There’s likely nowhere else you can find dinosaur skull and mummy excavation kits, grow your own crystal kits and the Crystal Cave, a small semi-hidden room showcasing a variety of inexpensive crystals and minerals as well as beautiful geodes and even salt and mineral lamps! The gift shop also carries a line of products by GeoCentral, which specializes in educating as well as entertaining. Among the gift shop’s most popular items are miniature versions of Wichita’s iconic Keeper of the Plains cor-ten steel statue, the 44-foot-tall Indian warrior sculpture created by Wichitan and Native American artist Blackbear Bosin. You’ll find other Keeper and Wichita merchandise, too, along with food from American Indian owned businesses, like frybread mix, buffalo jerky and chocolate. They sell handmade jewelry from local artists and other things you may not find elsewhere, like dreamcatchers, botanicals and American Indian artwork, books, music and DVDs. The gift shop at Mark Arts, formerly known as Wichita Center for the Arts, is closed until the city’s oldest visual arts organization moves into its new 40,000-square-foot building at 13th and Rock in January 2018. The new, bigger space will allow the store to carry more items, including art supplies, branded Mark Arts items and original art by local artists – original greeting cards, paintings, prints, jewelry, sculpture and more. 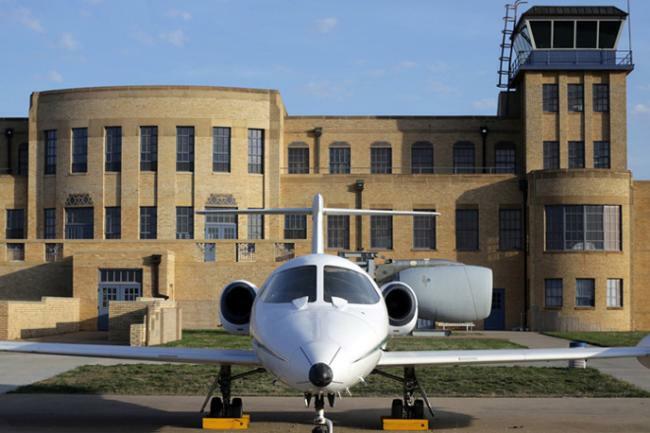 The gift shop at the Kansas Aviation Museum is the perfect place to find gifts for the aviation enthusiasts in your life, no matter their age! They carry adorable U.S. Air Force bomber and U.S. Navy flight jackets in infant, toddler and junior sizes. You’ll also find toys, model airplane kits, fancy kites that look like real airplanes and an array of signs, mugs, keychains and magnets featuring aviation sayings or icons like Rosie the Riveter. 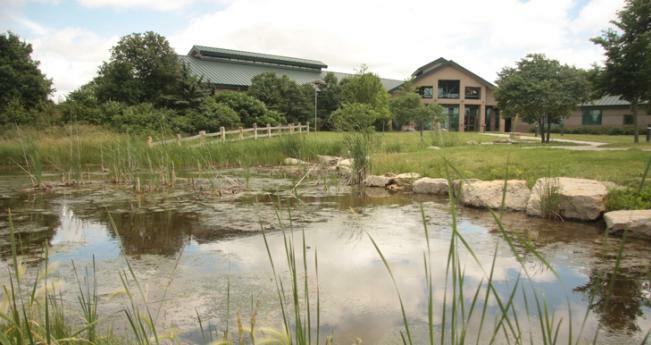 The Owl’s Nest Gift Shop at the Great Plains Nature Center in northeast Wichita has gifts for nature lovers, hunters, anglers and educators, no matter what age. The store has a mix of educational and fun toys and gifts, from a solar robot building kit to a recycled paper bead maker to an assortment of rocks, gems and minerals. There are kids puzzles, plush animal songbirds and even edible insects, insect candy and sunflower seed candy! They also carry prints and stationery showcasing local wildlife and made by local artists. Look for a large selection of posters, pocket guides and books for children and adults, with topics specific to Wichita and Kansas. One of the most popular titles this year is "The Guide to Kansas Birds and Birding Hot Spots" by Bob Gress and Pete Janzen. Gress is one of the nature center’s founders and also a wildlife photographer, so the guide is stunningly illustrated. Note that the gift shop is open 10 a.m. to 4 p.m. Monday through Saturday. 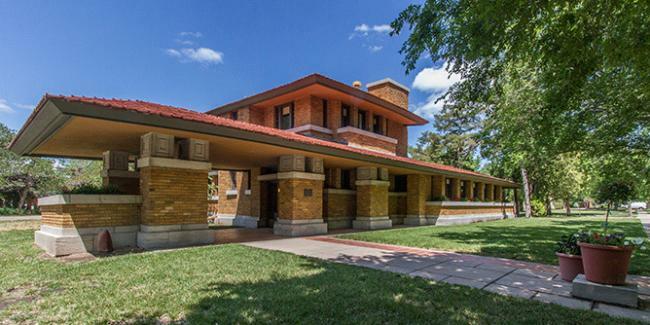 For the architectural buff, stop in at the Gilded Garage Gift Shop connected to a prairie house designed by Frank Lloyd Wright in 1915 in Wichita’s College Hill neighborhood. 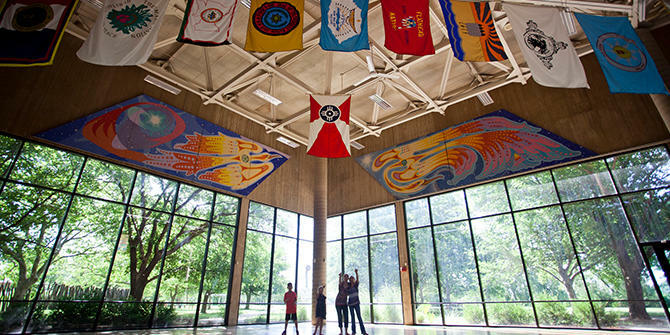 Its one of two structures in Wichita designed by Wright, named the greatest American architect of all time by the American Institute of Architects. Year-round the museum’s store carries puzzles, throws, votive candles, laser cut lamps and accessories, tabletop “sprites” (geometric architectural statues) – everything is a Frank Lloyd Wright design. They also have a selection of books and the gift shop’s most popular item is the Allen House book published recently by Howard Ellington, the museum’s executive director and restoration architect. With the traveling exhibit Hall of Heroes ending Jan. 1, now is the time to grab some superhero-themed items at the Explore Store at Exploration Place. Batman or Superman soaps make a great stocking stuffer! The science center’s 1,900-square-foot gift shop is loaded with science-themed and educational toys as well as funky fun gift ideas. The store carries Best-Lock Construction Sets, similar to and compatible with Lego toy blocks. Many of their sets tie into the new Design Build Fly aviation exhibit, from space buggies and space shuttles to fighter jets and airports. For that person on your gift list who loves keeping their hands and minds busy or needs a stress reliever, consider Crazy Aaron’s Thinking Putty. The putty is packaged in a metal tin and there are many varieties available: glow-in-the-dark, magnetic, UV reactive, evergreen-scented for the holidays and one version known as liquid glass because it’s clear. The Botanica Wichita Gift Shop has an assortment of gift items year-round, from garden gadgets in the spring, Halloween decorations in October to Christmas items in December. Among this season’s offerings: Santas, ornaments and greenery. The gift shop has a large selection of children’s items, books, clothing and even honey produced in the gardens!